Revisiting Dwight Howard’s Visit To Manila for adidas Exhibition and NBA Global Games Philippines 2013: "Happy Moments"
The brand with the three stripes, adidas, in partnership with the National Basketball Association (NBA) Global Games Philippines 2013, held an exhibition game with Dwight Howard and the rest of the Houston Rockets going up against David West and the Indiana Pacers. The Rocket-Man a.k.a. Dwight Howard, one of the oldest adidas global assets, an NBA All-Star, Defensive Player of the Year, Slam Dunk Champion and an Olympic Gold medalist, was in Manila for the NBA Global Games Philippines 2013, where his team, the Houston Rockets, is playing against the Indiana Pacers. 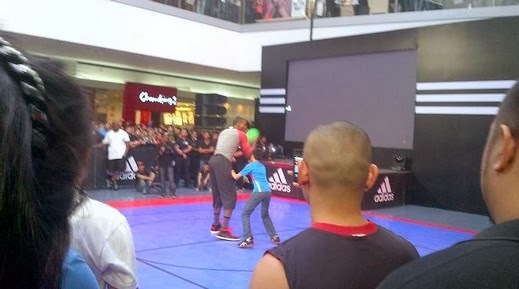 The NBA Global Games in Manila was held last October 10 at the SM Mall of Asia Arena. Apart from the much-awaited match between the Rockets and Pacers, Howard also participated in exhibition games in the adidas Signature Shots event. He showed off his moves to fans in the SM Mall of Asia Atrium as he put on a fun clinic on how he uses his skill and size to dominate on the court. Howard even went one-on-one against several lucky fans, who were even given souvenirs that had customized digital “signatures” based on Howard’s actual moves. These unique signatures were created through motion detecting cameras that tracked the way he moved the ball at the event. Earlier in the month, adidas also gave away tickets to the NBA Global Games 2013 practice sessions of the Houston Rockets and Indiana Pacers, through a retail promotion at participating adidas stores. 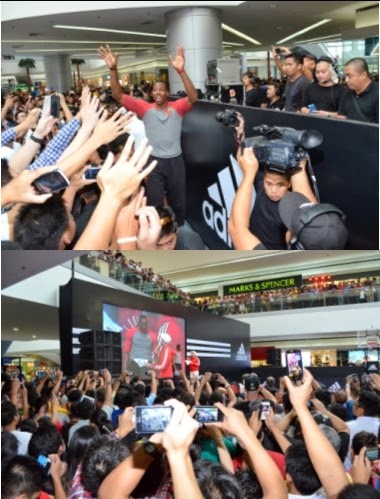 Here are some of the memorable moments that happened during Dwight's epic visit here in Manila. 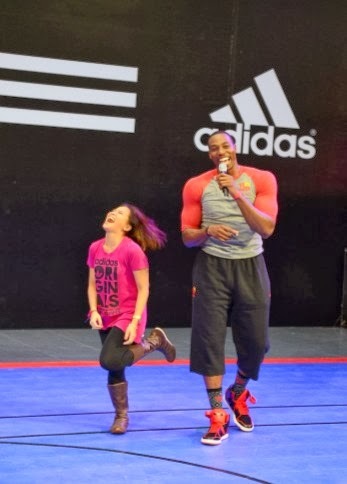 Look how big Dwight Howard is as he plays one-on-one basketball against a lucky fan. Dwight Howard greeted fans as he arrived at SM MOA Atrium. 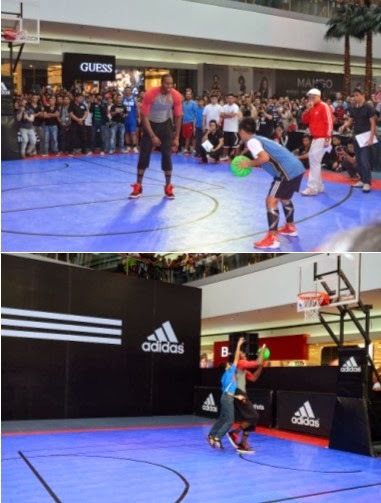 Some lucky fans were able to play 1on1 against Dwight Howard. 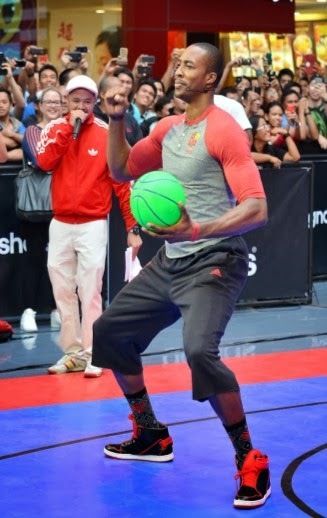 Before the dance showdown, Dwight showed the crowd his own dance moves. Dwight judged a dance contest amongst avid fans.